Since i began this healthy natural hair journey, and this journey of self love and acceptance, i have had Shea Moisture with me the whole time. I have tried a few different products in the range but for me this JBCO leave-in conditioner is the best thing i have ever put in my hair! Sometimes i dont event need to add water for it to still have an amazing affect on my hair. Not only does it smell amazing, but it detangles, adds shine and leaves your hair feeling happy. Any product with castor oil in it, for me, instantly draw me in. After years of damage i am left with very thin edges and possible alopeica in places. This is what happens when for years you just scrape your hair back into a tight bun on the top of your head guys! But that is a whole other post. Castor oil helps with hair growth and thickness! This product also has peppermint oil which helps to stimulate the scalp and encourage healthy hair growth, and gives a tingly feeling. I use a small scoop of this and distribute it through my hair using the rake method. This ensures that prodcut gets not only on the top of my hair, but throughout all of it. The next product i move onto, is one that is fairly new to my collection. ORS haircare is a brand that i had used before, but only a few products like the olive oil sheen spray, but after being sent a hamper full of their other products to try, i fell in love with them. 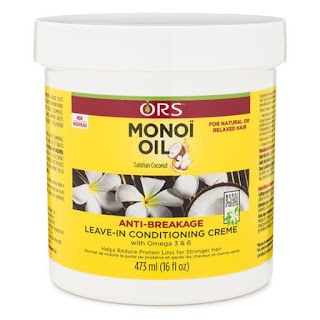 They are the brand that brought us curls unleashed, monoi oil products and olive oil products. It was the shampoo and conditioner and a few others in the box that made this brand one to keep an eye on. 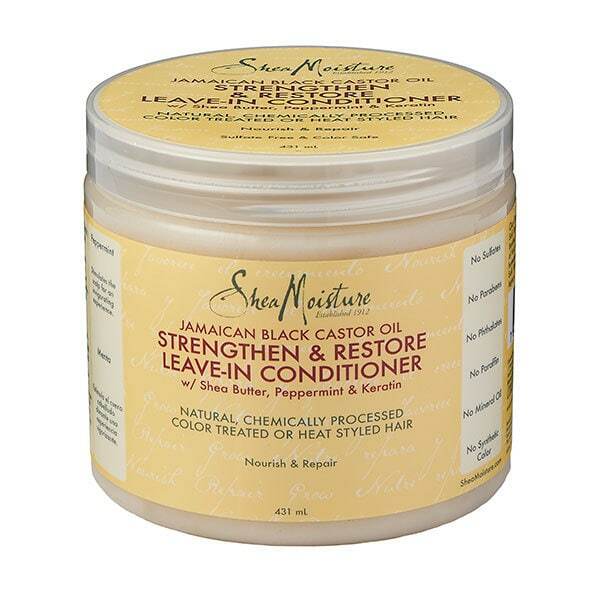 On a broke day when i couldn't really afford the £10.99 it costs for shea moisture, i came across the leave-in conditioning creme in my mums ASDA store for £3! I couldn't not try it and i am so glad that i did. It is another Monoi Oil product and so smells coconutty and fresh. It is a little thicker than i thought it was going to be, but i soon realised that a little of it goes a long way because of this reason. I like to, again using the raking method, apply this to my hair after using a leave in conditioner. I know that it is a conditioning creme, but due to how thick it is, if i tried to apply it on dryer hair, i dont think it would work as well. Using it second works perfect! 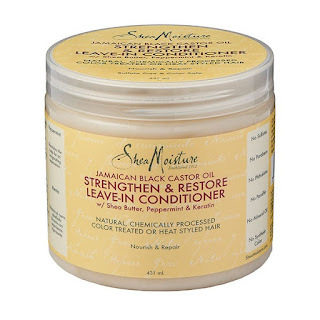 I apply this mainly to the ends of my hair, rather than from root to tip, as this area needs the most moisture and that is exactly what this product gives. It comes in a large tub which means it lasts ages! I use this every single day and yet my tub is still pretty full, its like magic. I dont think there are many products i have tried that i can honestly say last as long as this one. It has Omega 3 and 6 plus antioxidants to protect from breakage and protein loss caused by daily styling. The results… stronger, longer beautiful hair. 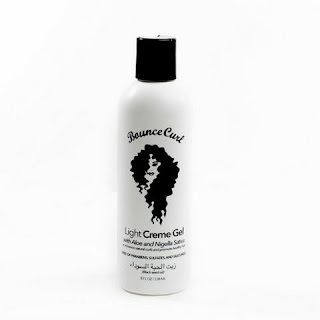 My third holy grail and final step in my daily routine is the amazing bouncecurl light creme gel. I know alot of people have seen and heard about this one and i have been asked by so many people to give reviews on it. I first saw this product through various instagram posts, leading me to follow the creator. Her hair is beyond awesome! A curly product created by a curly girl is a good sign. She knows what she is talking about. I tried to get this online through the official website but being in the UK, the shipping was crazy! After posting about this on the gram, i found 2 websites in the UK where i can get my hands on boucnecurl with standard £2-3 shipping yay! When it arrived i could not have ripped the box open fast enough! The creator is always doing videos on how to use it, so i knew what i was going to do. I squeezed some into my hand and the first thing i noticed was how light it was. My hair and hair gel DO NOT MIX! I end up with matty flaky hair. This doesnt feel like normal hair gels, more of a shampoo texture. It smells fresh and that smell lingers in your hair all day. I flipped my head upside down and scrunched the prouct into wet hair, then i diffused it and applied a little more. Instantly my hair looked curlier than usual. I went off out on my day thinking no more about it. When i got home i looked at my hair and that was it, i was hooked on bouncecurl! My hair had been out all day, in wind in rain, but my curls were shiny and difined STILL!!!! The curls had hold, without going crispy. Get your hands on it here. 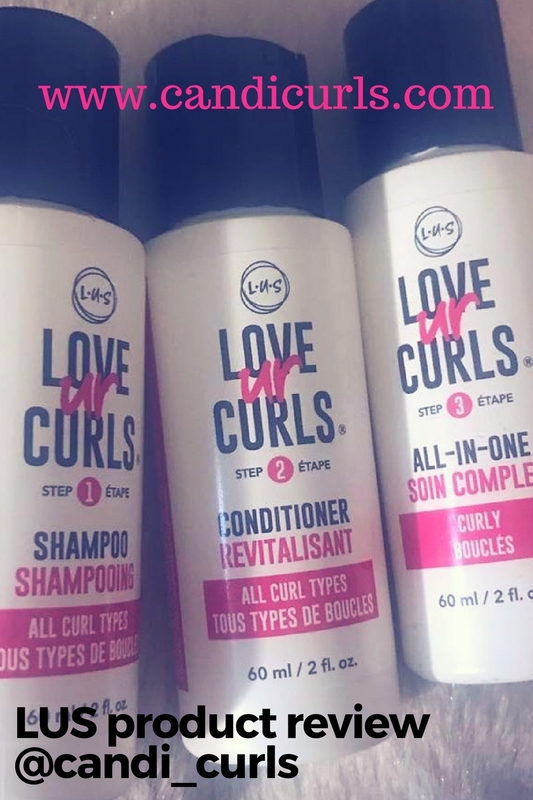 Your curls will thank you! The best part about the routine in the video which i do, is that with these 3 products, i DO NOT NEED TO DO MY HAIR EVERY DAY! I made it to day 7-8 (i was really busy) and still my curls were popping! To do this i make sure that every other day i will dampen my hair with warm water and conditioner. This just softens any product build up and allows the products to work at their best.